MiraPrime Aqua-Blok XLi is a clear, single component, odorless, water-based, penetrating colloidal silicate primer and sealer that integrally waterproofs concrete, mortar and other cementitious materials. Based on a scientifically superior hybrid blend of lithium and potassium silicate technology, Aqua-Blok XLi is ideal for concrete affected by ASR (Alkali Silica Reactivity), or exhibiting high porosity and moisture vapor emissivity. The lithium and potassium blend works in unison to react and seal the surface quickly, and achieve maximum penetration into the capillary structure to waterproof concrete integrally. Exhibiting highly reactive and hydrophilic properties, Aqua-Blok XLi quickly migrates through concrete waterways and capillary tracts to chemically convert free water-soluble calcium hydroxide into a dense crystalline network of insoluble calcium silicate hydrate gel. 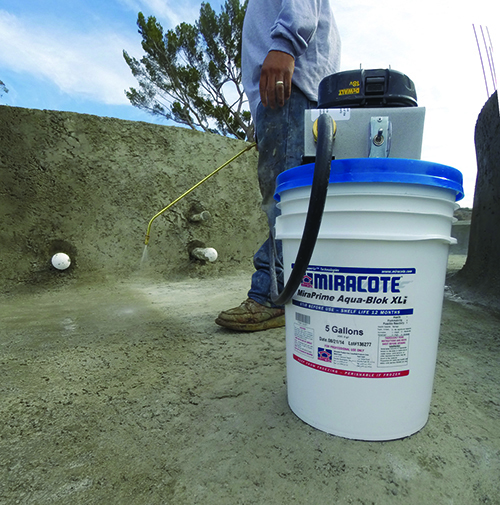 This conversion process prevents the migration of efflorescence, helps purge unwanted chlorides and contaminants from within the concrete, seals and densifies, permanently blocks moisture ingress, helps mitigate ASR expansion and damage, reduces moisture vapor emissivity and enhances resistance to aggressive chemical substances. Purges/expels embedded chlorides and other contaminants. Enhances concrete physical properties – maintains breathability. Can be applied from the positive or negative side. Hydrophilic moisture barrier – resists osmotic pressures. 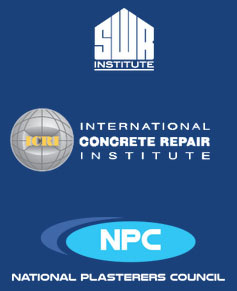 Concrete structures susceptible to or affected by ASR. Water and wastewater treatment structures. Water reservoirs and containment pits. Polishing of concrete floor slabs. Underground vaults and elevator pits. Parking structure slabs, columns and walls. Concrete bridge decks and sub-structures.